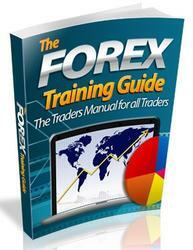 FOREX trading is becoming more and more popular among individuals of all walks of life. In the thoughts of many, it would seem from the outside that it is an easy option to get easy money, quit your daily job, and start your path to the rich and famous gallery. However, this is not true. Although you now can start trading with a very small amount of money, you also need to possess some basic elements of personality and character that are paramount for a successful career as a FOREX trader. FOREX trading should be treated as a business. It is an investment venture. Unfortunately, most people who throw themselves in the market without any previous preparation tend to treat it as a lucky gamble and end up with an unpleasant experience. • Are you willing to apply yourself, and do you have some spare time to learn and prepare yourself thoroughly? • Are you just looking for easy money, thinking that you'll get rich quick? • Are you capable of following rules and discipline, leaving emotions out of your decision-making processes? • Are you clear about how much money you will allow yourself to invest and how much you can afford to lose?